The perfect card + gift all in one! Bird of Play's brilliant magnet cards make an ideal budget-friendly gift. The magnets are so cute, and because they come as part of the card, they're a special find - rather than just a token add-on... The sweet Cloud is part of the new Folk Collection. 1 magnet is included. 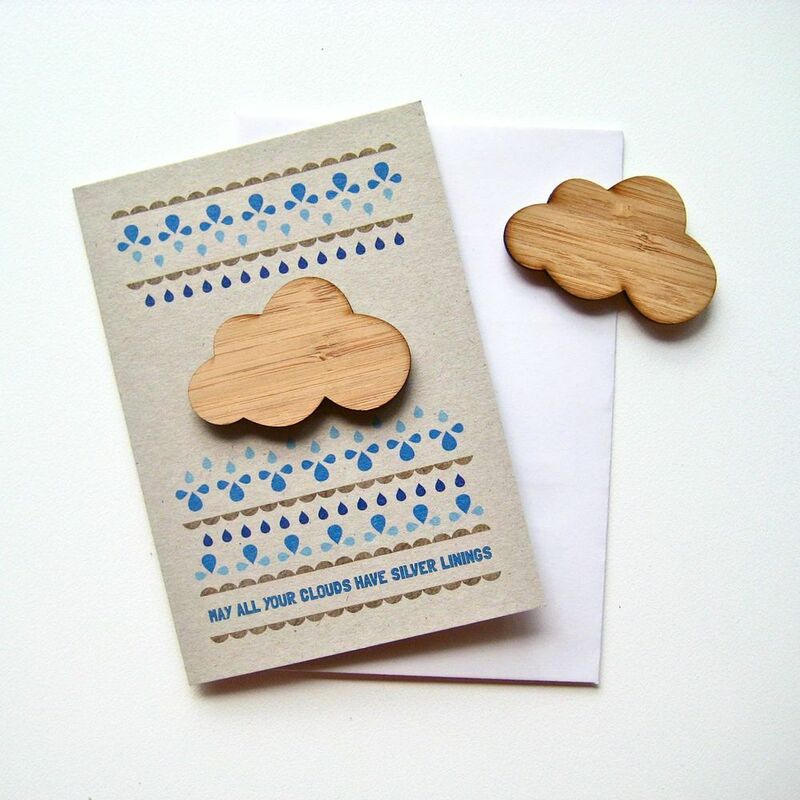 On the front, the card reads "May all your clouds have silver linings". It's a magnet-card! Featuring two super-strong & super-cute removable magnets, this little card is the perfect thing for when a card is just not quite enough. This original design is printed on 100% recycled card using waterless printing. The magnets are laser-cut and engraved from 3mm thick bamboo, attached to super-strong magnets (designed to hold up to 1kg), and affixed to the card front with removable adhesive. Materials: Bamboo, rare earth magnet, & 100% recycled card/envelope.